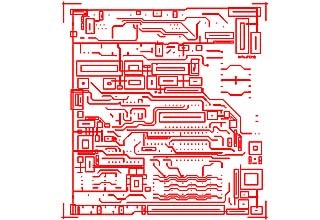 Gerber files are PCB design software output files all PCB designers need to send them to PCB manufacturers to fabricate the PCBs. The complete and whole Gerber files must contain D-Codes. 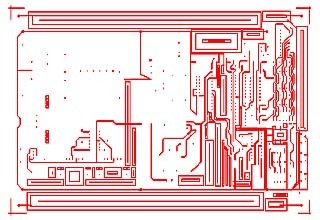 For the reasons such as PCB design software setting is not correct, or designers improperly operate, or even only have uncompleted Gerber files without D-Codes but the design software is not more available to correct the D-Code problem, some time you may have the problem of your Gerber files without the very necessary D-Codes. 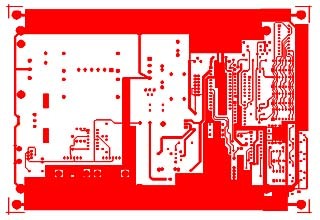 Most PCB manufacturers can't fabricate PCBs with the uncomplete Gerber files. From below 2 group 4 photos, you can see the different results between Gerber files with and without D-Codes. Because we have so many years' experiences of fabrication PCBs, together with very much and strong engineer experience, we can fix Gerber file lack of D-Code problem. 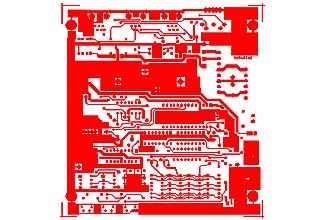 If you place your PCB fabrication order to us, we will fixing the lack D-Code problem free. You are always informed when we work for you. We will send new files back to you to check and approve before we begin the production. If any questions, please contact us at PCB@PCBfabrication.com.